Corey Robinson ’17, a Program of Liberal Studies major now working as a business development associate for Sotheby’s in New York. 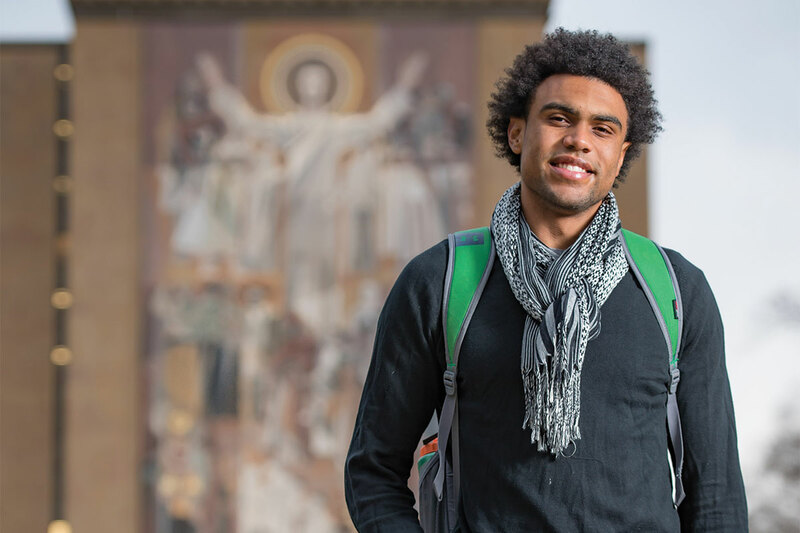 When he got to Notre Dame, Corey Robinson ’17 didn’t know what to major in — because he wanted to major in everything. He met with advisers in more than 20 departments, considering everything from Arts and Letters pre-health to Irish language and literature to aquatic biology. And he still wasn’t sure. That’s when his advising dean suggested the Program of Liberal Studies. 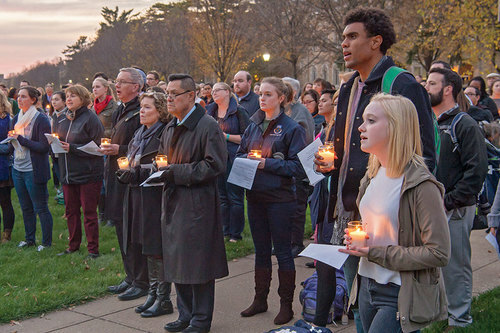 Robinson at an interfaith prayer service on campus in 2016. He also added a minor in sustainability, studied Portuguese and economics, and took classes in film, television, and theatre. A broad liberal arts education strengthened his ability to see connections between disparate fields and better understand other perspectives. Robinson had many opportunities to put those skills to use in the world as an undergraduate. He spent a summer doing service work in Brazil. He studied abroad in South Africa and in Israel. And he interned with the Notre Dame Global Adaptation Index, compiling data on climate change and researching Brazil’s vulnerability to improper agricultural land use. Robinson built a senior thesis project on that research, applying the timeless philosophy he studies in PLS to the practical, real-time issue of deforestation in Brazil. 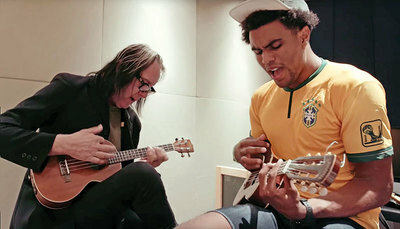 Robinson playing guitar with legendary musician Todd Rundgren, an artist-in-residence at Notre Dame in 2016. On campus, Robinson also served as student body president, championing issues of sustainability, diversity, and community engagement. He starred as a wide receiver on the varsity football team. He played guitar in an indie rock band. And he founded a nonprofit in which college athletes encourage children to pursue higher education. After graduation, Robinson conducted research in Uganda through the Kellogg Institute for International Studies and interned at a New York City art gallery, then landed a job as a business development associate for Sotheby’s in New York. He sees his experiences in Arts and Letters continuing to serve him no matter where goes. A version of this story first appeared in the College of Arts and Letters viewbook. Originally published by Carrie Gates at al.nd.edu on June 13, 2018.